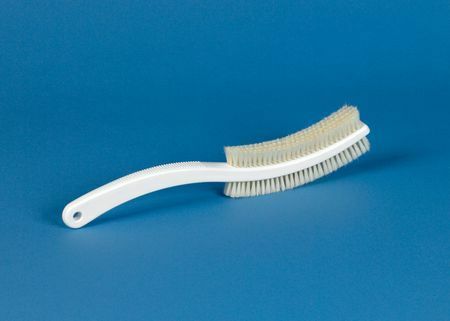 This massaging brush has smooth bristles on either side that adapt to the body's contour’s. The long handle enables the user to reach difficult body parts such as there back, shoulders or legs. Can be used either wet or dry.